Beat Boredom on a Rainy Day by Making Books! “Oh, no,” you think as the rain clouds roll by on Saturday morning. “How am I going to keep the kids entertained today?” You were hoping on a trip to the park, but the weather says otherwise. Meanwhile, the kids are already doing laps around the house, picking up crayons and headed for the walls. Don’t worry! With just a few standard materials, making books will help rainy days to fly right by. You and your kids will write a story, decorate the book inside and out, then put it together. 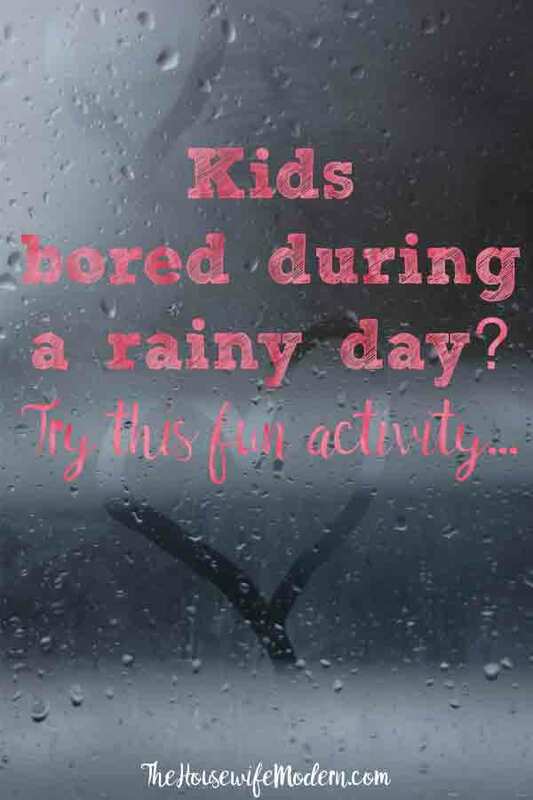 Everyone will have so much fun, your kids might find themselves hoping for rain. 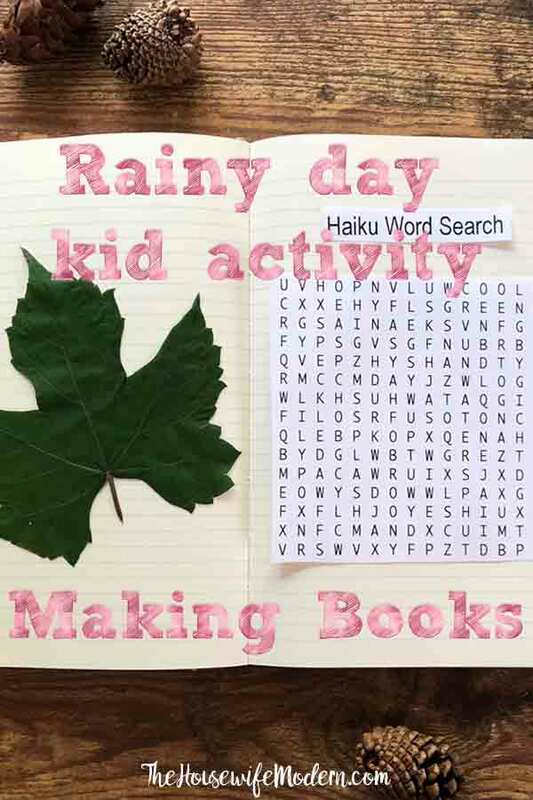 There are all sorts of books you can create with your kids on a rainy day. They might start with a classic storybook; kids can model their story after their bedtime favorites, or make up a story from scratch. They can draw or paint to illustrate their story. There are comic books, which are great fun for kids who love superhero stories. You can use Canva to create comic strips! 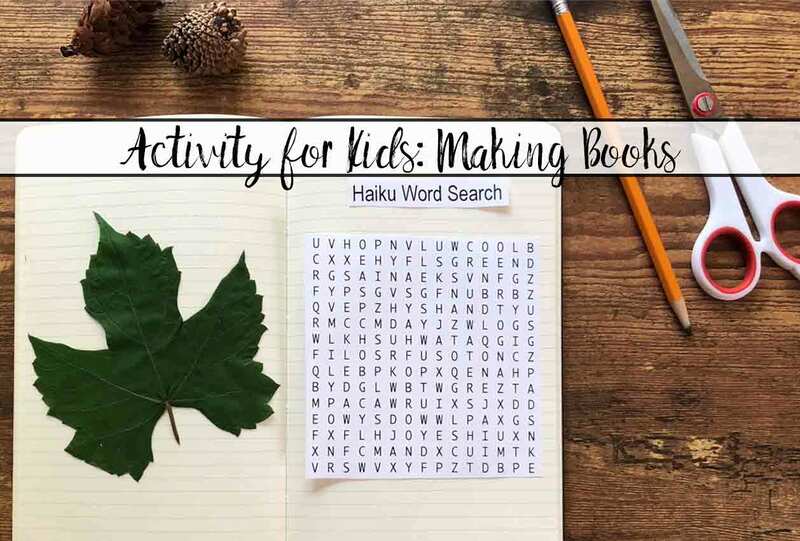 Puzzle books are fun to make, too, with homemade crossword puzzles and word searches. Crossword Hobbyist allows you to make your own crossword puzzles. And My Word Search allows you to make your own word searches. These are fun because puzzles can be about anything at all. Make educational puzzles about a subject in school, turn them into a bonding activity when about friends and family, or add a few that are just plain old silly and fun, like a crossword puzzle about cats. Finally, you might make a nonfiction book with your kids about their favorite subject, like dinosaurs, music, and more. This would also be a great opportunity to teach your kids about different kinds of nonfiction books, such as the difference between biographies and autobiographies. A nonfiction book would also pair with an extra activity, like using a chemistry set or with leaf-collecting from a sunnier day. Are your kids having a hard time deciding which subject to choose? Mix and match them! A crossword puzzle definitely can go into a nonfiction book, for example. If the weather is particularly bad, there might be enough time to make more than one book. And remind your kids they can always make another book on the next rainy day. We don’t want to judge books by their covers, but that doesn’t mean we can’t have a lot of fun decorating them! Have your kids draw their own images to match the action in their story on any given page. Then they’ll do the same for the cover. Kids can also draw pictures for puzzle books to demonstrate the theme of each puzzle. With word searches, kids can outline the puzzle and add a whole scene around it. Your kids might like to try collage as well. Cut out images from related magazines and put them together on the cover or within the story. This is a great for nonfiction books, and also a great way to increase your child’s knowledge on a subject. Pull out old National Geographics to gather images and to learn more information about volcanoes, for example. Or print your own photographs. Did your kids put themselves into the story, comic, or puzzle? Have them choose pictures of themselves that fit the story. Or for an added activity, take new pictures, complete with costumes and scenery. Now they’re authors and main characters! Now that your kids have all of the pieces of their books, it’s time to put them together. If you haven’t done so already, print out any materials you helped your kids to make on the computer. Then choose from a couple of binding options. You can simply staple the pages together, or for a sturdier binding, insert the pages into a pre-bound notebook or binder. To have more fun with it, make a cover out of cardboard or paper bag, then tie the hole-punched edges with colorful string or pipe cleaner. And voilà! Your kids can now show off their new books to friends and family. One of them may become the one they want you to read over and over to them at bedtime. Who knows? Your kids might even want to do this again when the weather is sunny. This activity is also great for playdates, or even birthday parties if you get enough materials ready beforehand. ~~Kristen Seikaly is a blogger and content writer specializing in topics concerning lifestyle, education and the arts. Originally from Michigan, she now lives in Philadelphia with her family. Visit her website at www.KristenSeikaly.com.